How is a recycle/up cycle fashion show educational? That is a question proposed to me. Of course I was directly in the center of the evolution of the fashion show and I was the art educator spinning in the middle to propel this project to a successful launch. So this question struck me like “Huh? !” Did the person asking me this question see the show?! After the initial surprise of the question washed over me, I collected myself and I realized that my fight for the arts and art education is still being waged. I am an artist and an art educator. I am a committed and passionate educator who feels deeply about the projects I propose for my student to engage in. I examine all the possible pitfalls, drawbacks, cost in dollars, and in time. I weigh the benefits of the projects and at what level of commitment; I can get from my students for success. You see- I don’t quit, I don’t walk away, and if I am connected to it….it will be of quality on all points; especially for my students. I often bleed the lines between my job, my passion, and my undying desire to support artists. I was that student. I was the poor, lost, quiet, student with dreams. I was an artist and I needed direction and support. Who knows where I would be today without the guidance of key art educators. I can identify these kids in a crowd…I was one of them. Art breathes life into their soul. Many times it is what makes them come to school, wake up, and dare to dream. I believe in dreamers, I believe in falling down and getting up, I believe in not listening when told NO! I will achieve my goals. I owe my determination from the fires I walked through as a young girl and as an art educator. As an art educator we often have to create something from nothing and do it with a smile because we have dreamers looking up at us. Art is often a forgotten essential in a child’s world when budgets get tight in schools. And yet I see the light from the artists who make things happen. The potter from Pittsburg, Bill Strickland, he dared to dream and made dreams come true. He led and is still leading artists to come and support the dream, Manchester Bidwell Corporation. The artist, Tyree Guyton in Detroit, who has taken over a forgotten part of town and has created art to help heal the city from within, the Heidelberg Project. Tyree Guyton, up cycled, reused, repurposed to help heal the city. So when someone asked me if the recycled fashion show I helped create was educational. You-know my answer. YES- it is educational for the students who participated in the show to the people who enjoyed the event. I gave my students the opportunity to be a part of a much larger project outside of a grade and outside of the school. I gave them the opportunity to dare to dream and create from the dreams. I inspired them to experiment and try over and over to achieve success. I provided support and encouragement, I provided an opportunity to work with and speak to professional designers. I provided a stage to share their creations for the public to see. The fashion designs were created by dreamers who wanted to try. We did not have fancy materials or even a sewing machine. We learned to invent, create, and amaze. I believe my students doubled their efforts because we worked in a group to support each other’s success. My students became designers, models, and event planners. My students had a real world experience with real world issues that needed to be addressed for success. My student’s confidence has grown so much that some of the students are making real clothing with sewing machines. They are working with their moms and grandmas. They appreciate the handcraftsmanship of a garment. They are learning how to purchase and budget for materials. They are expanding beyond the fashion show of recycled items. I have students who are always reimagining materials to help perpetuate sustainability. 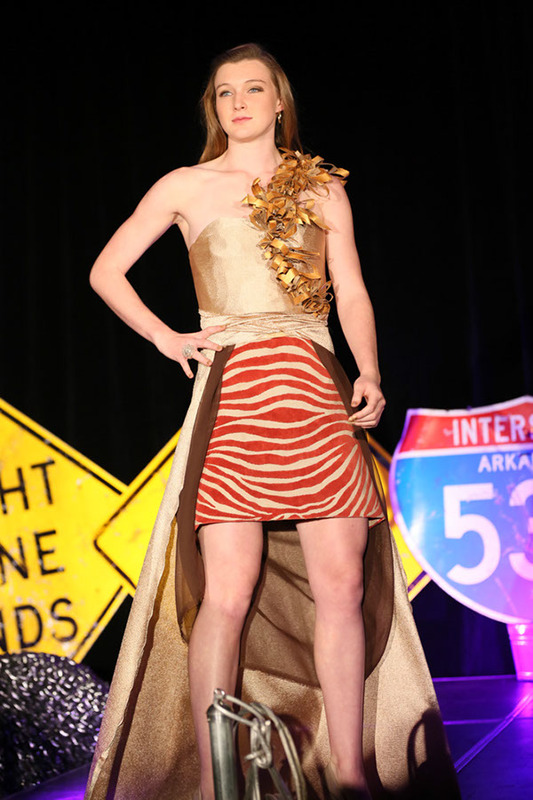 My students have gained knowledge, confidence, and style with one recycled fashion show. I believe that some of these students will seek higher education to continue in a related field in the arts and business. In education today, budgets are tight, art programs are suffering. The opportunity for students to work with others on a project in an art related area is priceless. Students, who do not get the opportunity to express themselves in the Fine Arts, do not have many other outlets. Students need to express themselves and it is best if they can be given guidance and support to nurture a positive direction. Providing an opportunity to showcase what they create is motivation and reinforcement that the arts are important. The best educational practices are structured to provide opportunity for students to share their knowledge. Project Based Learning focuses on 21 Century skills. It is an all-encompassing way of learning. It puts the learning in the student’s hands. Students experience deeper inquiry into the ideas, they have to do the research, pace and plan the work, it encourages students to develop a voice and confidence, and the final outcome is a presentation in public. 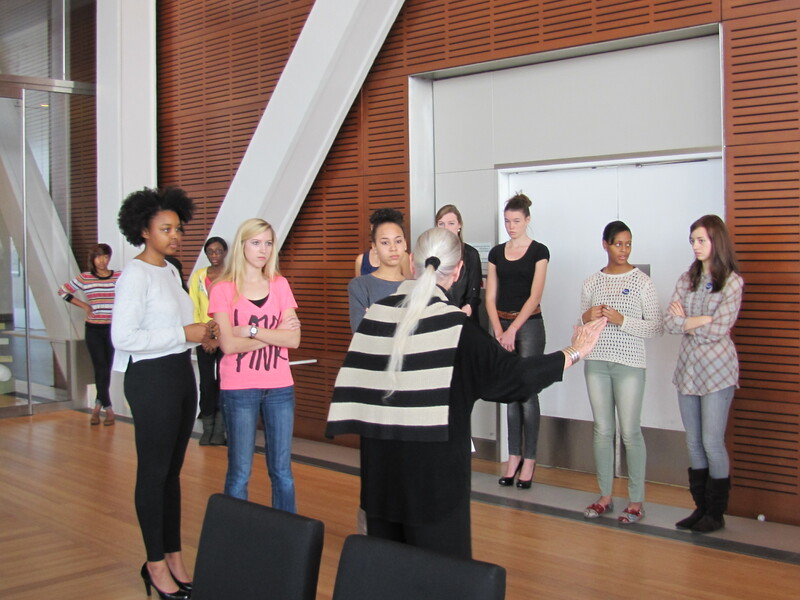 This experience with the Curbside Couture Fashion Show was an example of Project Based Learning. Is this educational? I do believe it is. Thank you for appreciating my comment. I believe in art education and art educators have a tough future. Arts Education needs to stay in schools. Here is the trailer. awesome! Hi Joy- You are very inspirational and like Jodi I thank you for posting your insightful comments. I especially loved the line you wrote “Art breathes life into their soul”. Your students are very lucky to have such a wonderful and caring teacher. I am in the process of creating a new Fashion Design curriculum which includes doing these recycled projects too. I would love to share it with you and feel free to give me any feedback. You can check it out at MrsTsArtEducation.weebly.com. Thank you so much. Yes- we need to connect. I will check out your blog tonight. Great to work with others who are trying to help keep art exciting and vaild for our students.